by Richard A. (“Red”) Lawhern, Ph.D. I have tracked down some of the “research” behind the so-called CDC practice guidelines published in March 2016. And the research is an absolute CROCK! Try to hang in here with me as I explain why. Particularly astounding is the biased and unscientific way that the Consultants Working Group arrived at their recommendation that 90 Morphine Milligrams Equivalent Per Day (MMED) should be established as an upper bound on acceptable prescription practice. In that chart, four published studies are compared. Apart from the unexplained protocols behind those studies, the results are internally inconsistent and wildly at variance between the four. 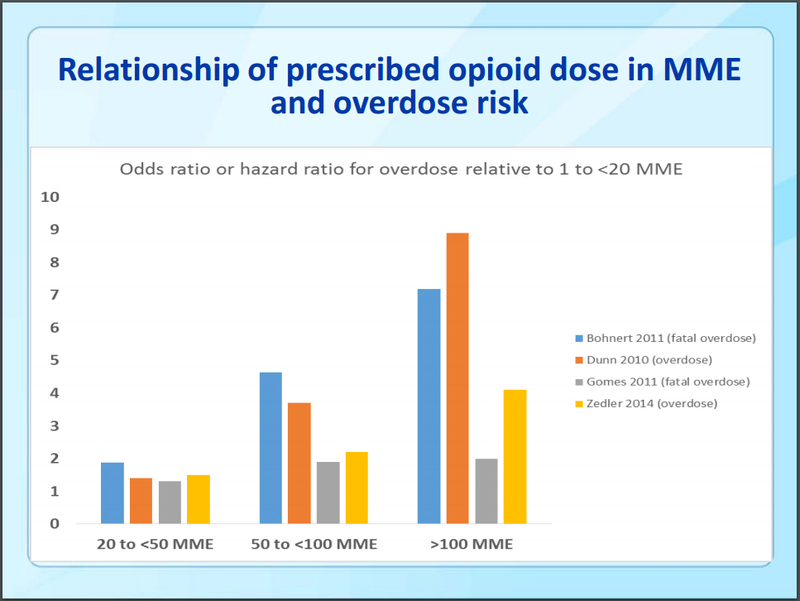 One study of reveals a leveling off of overdose risk at 50 mg Morphine Milligram Equivalent Daily Dose, while the others claim a significant further increase in risk at 100 MME or higher. What we don’t know is HOW MUCH higher the dose increase was in each of the four studies, OR on which opioids. We also don’t know whether the protocols actually measured what they purport to measure, or were even mutually compatible. Anyone who understands the least thing about opioids should know that there is a very wide range of variability in individual patient response to opioids. But that variability isn’t even mentioned in the presentation OR the guidelines. Instead, the CDC is now training thousands of doctors in a fictitious standard of risk that assumes patient responses can be meaningfully averaged — which they clearly can’t. Medscape has also published an excellent article titled “The Myth of Morphine Equivalent Daily Dosage” which I believe needs to be required reading for anyone who writes in this field. A strong case can be made that the basic research used by the CDC to justify restrictive guidelines on prescription of opioids is not only scientifically weak but has been cherry-picked by a group of people who were NOT qualified in pain management, to support a totally fraudulent guideline. In short, if these people were at all qualified, then they lied. And if they weren’t qualified, then they had no business pretending that what they came up with was scientific in any way. 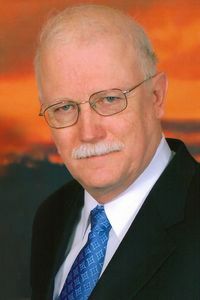 Richard A. Lawhern has volunteered for 20 years as a non-physician author, webmaster, and advocate for chronic neuropathic face pain patients. Authored by: Richard A. (“Red”) Lawhern, Ph.D.
Richard A Lawhern is a technically trained non-physician advocate for people in pain, with 22 years experience in patient support groups, and over 70 published papers and articles. CANT KEEP ON IN THIS CHRONIC PAIN HELL MUCH LONGER! 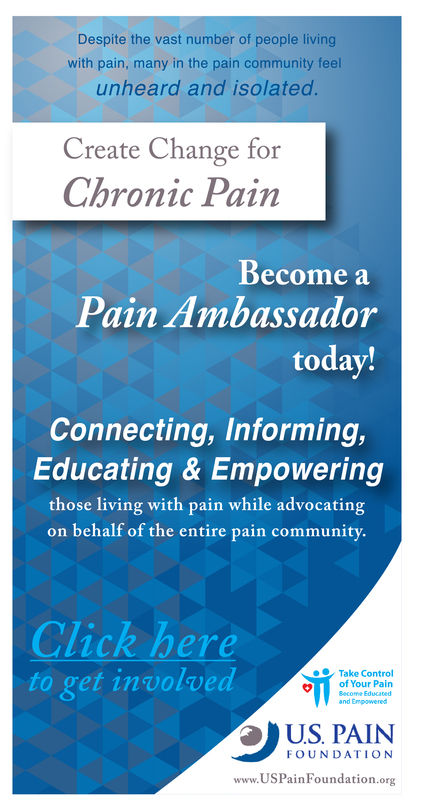 Tim Mason, thank you for the US Pain Foundation link. I marked it as a “favorite” right away (it is a sad state of affairs when many of your internet favorites pertain to pain) and this afternoon I finally found the forums you mentioned. Although I still haven’t investigated further, I think that is something I really need. (I loved the way you wrote “Don’t delay, Join today! – reminded me of my old self) Thanks also for pointing out those slides (from my alma mater- just the University, not the School of Medicine). I only gave them a cursory glance so far but yes, definitely encouraging. im not a phd. but simply put. 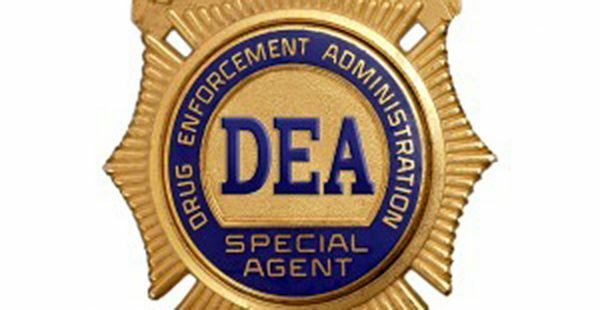 i just wrote every state they along with the dea quoted. From written opioid prescriptions, to overdoses, to deaths blamed on opioid prescriptions. I said long before the guidelines came out that the numbers don’t work. Now with they incredible growth of heroin use and bootleg fentanal the geniuses are adding those to prescriptions deaths because they know prescription od and death are down at least 60 %. At least the fda still has some balls. they acknowledge the benefits of oxycontin and approved it for children that have had surgery. ADDICTION IS A DISEASE ONLY PEOPLE THAT ABUSE AND USE THEIR MEDICATION RECREATIONALLY ARE THE PROBLEM. Now i am grateful heroin is everywhere, cheap and pure. IT WILL CONTINUE TO KEEP ADDICTS AWAY FROM THE VERY HARD TO GET PRESCRIPTION PAIN MEDICATION. Look at the 36 slides presented to the FDA. It is very good. It is from the Boston University School of Medicine & Boston Medical Center. This University and Medical Center is on OUR side. The 1960s was a decade when a few men planted sinister seeds in our minds which contradicted reality. These seeds had grown into a very dense forest of lies blocking out “The Whole Truths.” These sinister men boldly stated that “pain can be correctly and accurately located on an x-ray and diagnosed as “degenerative joint or skeletal disease.” They also fabricated a solution which was the amputation of the section of “joint degeneration.” The proclaimed, and everyone believed sawing out the ends of the femur and tibia then wedging in a metallic structure would, in essence, “cure” the patient from their pain, disability, and misery. These men were allowed to throw out historically grounded reality and move forward with this bold endeavor. They were successful, and this carpentry idea; the wedged metal parts stayed in place and the patient didn’t die. By the laws of nature and human biology, it is impossible for the skeleton or joint structures to be able to produce every day or long-term aches pains and stiffness. Even still, pain in any extremity does not warrant removing or amputating living tissues. Degenerative joint disease is an age-related secondary pathology caused by lack of exercise, muscle training and hands-on physical therapy. Without the proper PT over decades will directly lead to muscle atrophy, dystrophy, weakness, contractions, and ultimately loss of muscle function. This loss of functional ability of muscle can be termed Muscle Failure. These men opened a Pandora’s box of subsequent lies, deceptions, scheming, definition deceptions, tricky words, cloak and mirrors, three-card Monte, and killed the integrity of who we are as ethical, honorable, trustworthy, and moral people. I have to assume 95% of medical academic falsely think that what they know is complete and vetted which is the contribution to waste, fraud, abuses, high morbidity, mortality, malpractices and pain related suicides. Intellectual incompleteness has corrupted most all standard of care plans; treatment plans policies and procedures and construction of studies and research. It is impossible to make sense out of any written medical information because it’s missing the pathophysiology of pain and diseases of the muscular system. But it runs even deeper than that. They are already changing the meds themselves, rendering them ineffective and/or capable of inducing potentially harmful, undesirable side effects, generic and name brand alike. This has been my experience, at least. If I were to be put back today on my prior dosage, in a way it wouldn’t even matter. Those drugs are gone. If you are sick with pain and your GP knows it, and you are seeing a Pain Specialist, have your doctor help you report him or her. You are being harmed. Your pain specialist is a preferred provider in your network, report the bad situation. They document these things. You are being harmed. Look up your doctor on the internet. Doctor John Doe MD Vitals. Do the survey but do not use your real name. Complete the review. Now do the same with Healthgrades. If you are dealing with a Physicians assistant or NP report them as well. Unethical treatment is rampant. Doctors will be utilizing new “exit strategies” to get patients to do the following. PT, CBT, Coloring books, music, injections, aroma therapy, spinal stimulators etc. All will be required before your Rx dose is moved forward. If you do any of these things keep them in a folder and ready to show as an exhibit. Document, Document and Document. I don’t know if more and more poignant stories are being told, better written, or if it has all somehow built up in my mind and reached critical mass, but honest to God, this cannot go on! How on earth can everyone involved in this cruelty even sleep at night? I think they’re aware of the harm – they’re watching, silently. If I wrote the Morphine Equivalent dose that kept me stable for~15 years, no one would believe me. That Meq in addition to two antidepressants, anti anxiety meds and muscle relaxers, finally made the pain bearable. Prior to being put on those meds, pain drove me to attempt suicide. Not with my meds but with a gun. I am alive to comment today because my Physician saw fit to treat my Arachnoiditis and RSD pain with Opiates and muscle relaxants (after failing step therapy). He didn’t stop adjusting my dose upward every two weeks until my pain was manageable. Despite doses and med combinations that would make the CDC shudder, I’ve never once had an adverse event with Opioids. I’ve never OD’d. According to these guidelines, I should be dead several times over from the very medicine that saved my life. Once my pain was controlled, I regained control over my life, exercised daily, became a productive member of my family and community and was able to help my fellow man again. I weaned myself off antidepressants and anxiety meds. Then began to wean my Opiates. I wanted off of ALL medication. I had to stop weaning when the pain was again unbearable. I remained stable and productive on a much lower dose until my MD began weaning me due to “hyperalgesia” (better known as a sudden fear of the DEA) Although I am still above the CDC cap for Opioids, my condition has deteriorated to pre-opioid levels. My family life has become stained, my social life deteriorated, and I’m unable to maintain my household. My Mother was Dx’d with stage IV breast cancer with mets to the bone. Four months later, my youngest brother died unexpectedly. Usually, I care for my mother but now I can’t even travel to visit her. “Opioid-related deaths” can include any death with opiates in the system as well as heroin. “Opioid-related deaths” were the subject in these flawed studies and I’ll wager NOT indicative of the compliant chronic pain patient experience. Everyone, try the US Pain Foundation. There are Forums there and they have a voice. * exception may be made for a qualifying automobile accident that required hospitalization for more than 4 days. (Fractured pelvis and craniotomy a plus. Special notes: Candidate attempting to quality under either 1 or 2 above must demonstrate via documentation that OTC analgesics were used prior to being prescribed any Scheduled II pain medication. (aspirin is excluded from the requirement). Mark Isben is right. I’m a chronic pain patient. If I am out of pills my pain is uncontrollable I’m going to have to find something or kill myself. I can not tolerate the pain. For now I have some of my dad’s pain meds. But one day I will be out of them too. And they say pills expire NO THEY DON’T that is only to get you to buy more. We help to be able to get our pain pills to live. I have back pain and fibromyalgia that is why I hurt all the time. Please help us who are in chronic pain!!!! I just want to say thank you, Dr. Lawyers, for using your time and resources for this purpose. 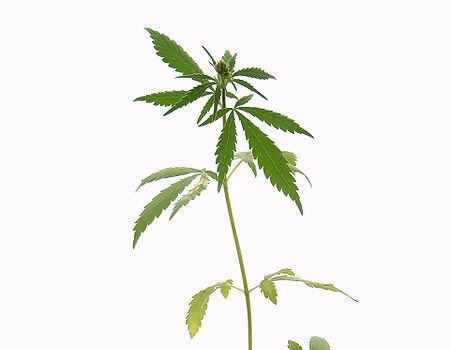 It feels as though all of the intelligent people are on the side of the chronic pain patients, but the stupid people are making all of the decisions. Please keep up the good work. Where can chronic pain patients turn when we’re met with media hype, stigmatization, and outright lies at every corner? We need treatment for our pain, not more pain caused by bureaucratic, rigged and non-scientific “studies” used to make our lives more miserable while advancing the agenda of the Rehab/Addiction Business, spearheaded by PROP. Thanks to Dr. Lawhern for calling them out on there inconsistencies and lies. @ Krissy I’m very sorry to hear all that you are going through. Keep your eyes wide open in regard to the care you are (not) receiving). Its a good thing that you caught on to that whole med issue! Hang in there and I pray that you get well and go home soon! @all It sure is poignant to me in reading everyone’s comments. God bless us all and let’s never give up the fight for proper care for ourselves. While I sit here in horrific pain… I am wishing all of us a ‘feel better’ kind of day! I have chronic pain and there are days that is the only thing that will help me. The truth about opioids is there is no so called “upper limit” in opioid tolerant individuals. Pain also is subjective and differs patient to patient. The recommended dosages are garbage based on garbage science just as the good Doctor here pointed out. Thank you! If patients are assumed to be potential addicts, it doesn’t seen to matter how much we beg for help. We need legitimate doctors advocating for us based on real statistics and science. Opioid & heroin should not be spoken of as interchangeable. My doctor is trying to take me off my under 90mg. dose based on these guidelines. Instead if prescribing a dose appropriate for me, I am barely getting by. I have never felt so ignored or irrelevant. 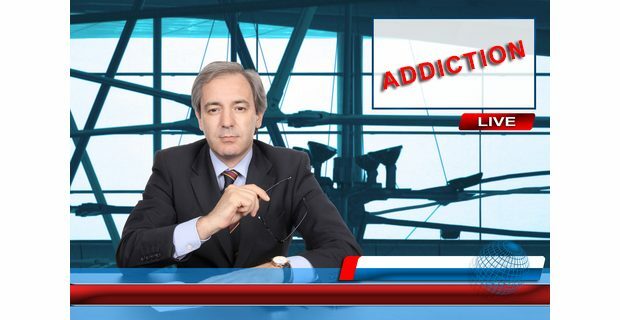 Noticing an increase in advertising for drug rehab for tens of thousands.. hmmmm….. It does appear that there aren’t many working for us. Unless you are a chronic pain sufferer, then how can you say what is right and what is wrong for the pt? There are so many heroin overdoses because people are being denied their meds and have nowhere else to turn besides the streets. The fact that the pharmacists have more power than the prescribing physician, I find to be beyond words that I can say here. 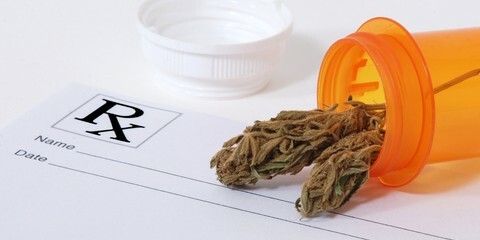 As far as dosing, I read on one of the blogs written by a PMdoc, that there isnt proper dosing, each person is an individual and there is no too much or too little. I thought it was just a Florida thing, I guess I am wrong, but I do know that I’m tired of being looked at like a drug addict. All I want to do is get up and go to work on the morning and without my meds I can’t. Im sure for the consultants work group they were successful with their resume building dreams-but I don’t think they should expect a humanitarian award anytime soon. Its tragic that certain professionals will stop at nothing to promote their own interests without regard to the good of others or society. I guess to them the suffering from chronic pain is something that is only imagined. by 100 million Americans. And if yours truly, debated them openly in public- the public would then see just how unqualified they are to speak about guidelines and evidence. Evidence for CDC guidelines was cherry picked as you suggested and reflects motivated cognition-a political agenda- to address diversion without regard to how people in pain might be impacted. They reflect an arbitrarium masquerading as circumspection. It, again, reflects regulatory and market failure to “balance” the needs of people in pain and the issue of diversion. This failure is squared as the Decade of Pain Research and Control failed to reach “the balance”. Government failed to assemble all the stakeholders to develop an effective plan to reach “the balance” and instead chose to use star chambers of dominant elite coalition to decide for the rest of society- what the balance would be- without the advice and consent of the government. And instead of learning from the mistakes of the decade of pain and the Harris Act, the federal government wishes to repeat the mistakes of the past by, once again, fails to include the greatest stakeholders- the American public and people in pain. P.S. I even wrote the Obama administration and a few weeks later, I got a phone call from the suicide prevention line here in this town! Great help, great listening!! This just confirms what we have all known, either intrinsically or pedantically all along. The question is what can we do about it? The CDC didn’t bother to take our comments into accounts. I am from a small town in Florida, that has a University pain center. Because of these guidelines, they closed the pain center. Therefore there is only one place left in an area of about 90 square miles that anyone in chronic pain can receive treatment. What can we do??? We have written our senators/legislators/CDC/posted online, and exposed ourselves as “drug addicts”. I feel hopeless in this regard. I saw the writing on the wall when PROP first decided to become famous/infamous and started weaning off the medications on MY terms. So glad I did, as patients are being forced off now on the doctor’s terms which is much quicker than what I could handle. Everyone is so proud of me. Proud of what? The fact that I am in constant pain, that I can’t sleep, that I am home bound most days and do not cook, shop, clean, or anything else a “normal” person can do?? Half the time my husband has to drive for me because I will fall asleep at the wheel, as I am so sleep deprived. Yeah, I’m real proud of myself. I don’t even go on the computer much anymore. I have one more dose to drop. This last one was the hardest. It will take me several more months to drop off the last dose. Yeah, real proud of myself. Could it be that morphine is only pennies also, which many of these meds are very expensive. I want to get out of bed in the morning not get high! I’ve been in the hospital for several days – first time in Florida, and there hasn’t been any issue with my pain meds. I am here for heart reasons but didn’t know why I was getting sicker and sicker lately. Went to a GP Monday and the NP wouldn’t let me drive to the ER where she wanted me right away so an ambulance was called and here I am. I figured pain meds would be an issue — not yet anyway. Cardio said A-Fib, need a pacemaker, POTS and they aren’t done yet!. — and although they mg of the Oxycodone I take was wrong on my chart, so are about five meds they’ve tried to give me that I’ve never had or ever heard of and were not ordered here. No wonder medical error is the 3rd highness cause of preventable death. If I hadn’t spoke very strongly to these nurses I’d be on a five new meds that aren’t mine! . I think they are trying to kill me. I have asked for a blanket, clean bedding, help to shower (have to have a doctor’s order to shower but no one asks…) The problem I see is that the nurses are at their walking computers and that’s how nursing is done now. It isn’t their fault; there is “too much” system t keep everything straight and in this case it’s not working. I have been waiting for an echo-cardiogram since Monday. My roommate was abused last night and an alarm was put on her — she has no falls or walking issues — she was just bugging them by having trouble sleeping and they will not call the in-house doctor for her. I have been in lots of hospitals — in Mpls-St. Paul and Rochester Mayo and have never in my life seen anything like this. I’ve been saying this all along – ever since I read the guidelines! Your points are new to me, but the thing that leaped out to me was the complete LACK of studies on longterm opioid use for chronic pain – they literally could not find ANY studies done longer than 6 weeks, and yet they made the statement that “opioids seemed non effective on chronic low back pain”?!? Where is their plan for longterm studies? There are thousands of us using opioids safely and responsibly – surely they can manage to document some of this! Their guidelines, given the lack of evidence, (oh, and they themselves gave a “C” grade to the studies they did find!) means that this document, which is now being used as gospel out West where I am, is an erroneous and dangerous document. Should be flagged as unscientific and be consequenced. The CDC has lost their scientific objectivity. They ought to know what an epidemic is. They say there is an epidemic in prescription drug abuse and overdose death. It’s .001% of the population. Pain affects 100,000 million of us. The evidence to create the CDC guidelines was weak at best. They all want opiates to blamed for the heroin crisis. I do care for patients. Two of mine have killed themselves. They cannot work in agony. They add to the $600 Billion impact on the economy. (IOM report on pain in America). Meaning but misinformed reaction to a made up crisis. People are upset that their child has died of a heroin OD. That does not mean we should go after doctors or pain patients. That’s like Mothers against Drunk driving going after car dealers, 7-11, or beer makers. And die from pain. It’s a terrorist. Thank you! for your extensive research on our behalf and for informing us of this information. Mucho appreciato! We, the ‘seasoned’ (long time and experienced) chronic pain folks know deep in our souls the TRUTH about what works best for our pain management. We deserve to be listened to. We, are the ‘individuals’, without even meeting each other, well know each others’ lives and what it takes for each of us ‘individually’ to simply get through our days in pain. We, are the ‘subjects’, the ‘individuals’ to be studied and… we are not. Yet, our lives are being hugely and negatively effected by those of incompetency making critical and ‘wrongful’ decisions about our lives and care. I am blessed by professionals like yourself and Dr. David Nagel who are out there understanding who we are and fighting the fight along with us. As I read Dr. Nagel’s book NEEDLESS SUFFERING my gut feelings often jump for joy in knowing that what I wholeheartedly know and understand for myself and others…is all so very TRUE. His personal and professional learnings, experiences and words are much like my own, my 34 years as a nurse helping those in pain and then came my unfortunate experiences on the other side of the fence as the chronic pain person. We are human beings who deserve to be respected and cared for properly and not detrimentally. They are trashin us at every corner in a round room, bound an determined t’beat us down by spreadin ignorance or just plain falsehoods, we can no give in t’fear or hopelessness, that’s what they want an expect….no NO NO!!!! !